How to help your kids feel safe when their world feels out of control. Like mass shootings in general, school shootings have gone from being a rare tragedy to a tragic reality. 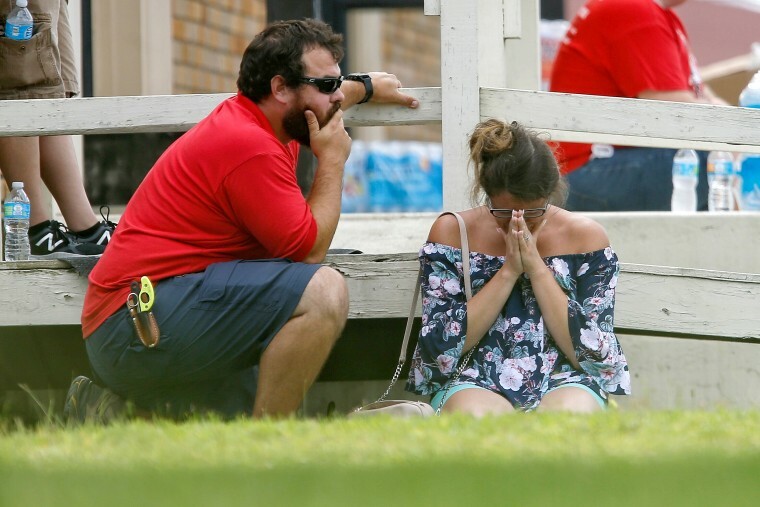 Already in 2018 there have been more than a dozen instances of gun violence in U.S. schools, including today's deadly shooting in Santa Fe, Texas and the shooting at a high school in Parkland, Florida that claimed the lives of 17 students and faculty members. These shootings and their aftermath leave many parents scrambling for words: How can you possibly explain gun violence to your kids and how to do you talk about it? I put these questions to mental health experts who just happen to be dealing with these concerns at home. Here are their best strategies to keep the lines of communication open and your own emotions in check. The choice to talk deeply to kids at bedtime could have parents asking, “Can’t that create anxious thoughts?” Not if your kids are equipped with de-stressing mechanisms such as deep breathing exercises.